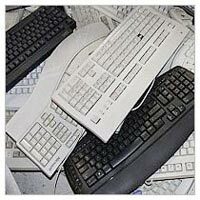 Based in Tamil Nadu (India), Shri Raam Recycling is a well-recognized E- waste management solutions company. Our company is engaged in Recycling of Waste Electric and Electronic Equipment. We are committed to provide the best price of scrap to our honorable clients. Therefore, along with being a socially responsible entity, we are also a client-centric organization. A lot of electronic waste is generated every year, which is harming the environment severely. Proper management of e-waste is required and we are playing a vital role in boosting the process. We buy electronic waste, and further recycle it to manufacture fresh products, thereby reducing lot of scrap in the best possible manner. We offer total monetary worth to our sellers from whom we buy the waste.